An article has been written by Alan Holley about the Melbourne Composers’ League concert held in Montsalvat’s Barn Gallery on Sunday 30th September 2018. 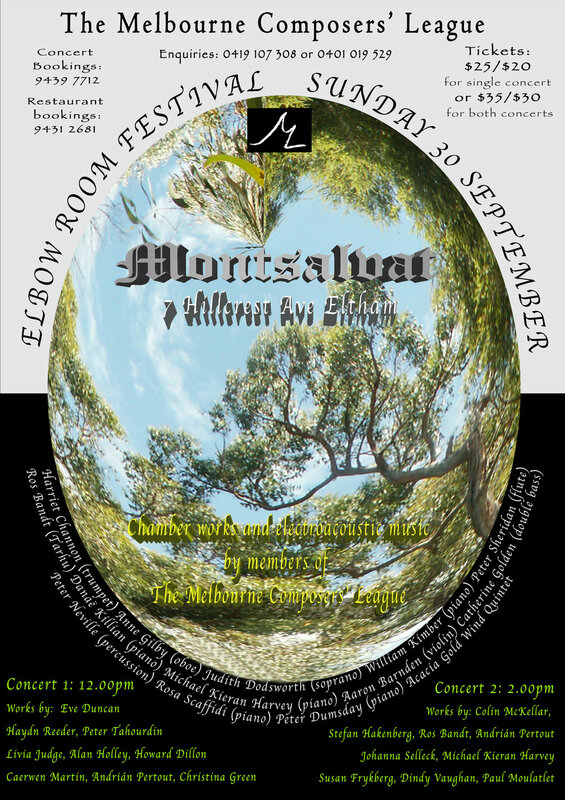 In the historic Montsalvat in the hills just out of Melbourne two concerts of 19 new works were presented by the Melbourne Composers’ League in just one day. The MCL is a rarity in Australia - a group of composers who band together to present new music with a focus on composers from Victoria. Appropriate then that the concert was held in the grounds of the important mid-20th century artist colony, a place devoted to communal artistic endeavours. Encompassing composers of differing professional development, MCL concerts can be varied but all surely offer up a few gems. There was no theme in the selection for this one day mini festival and the music presented was a cross section from some of the members. And still it ran like clockwork due to the sterling efforts of co-curators Johanna Selleck (composer/flautist) and Colin McKellar.